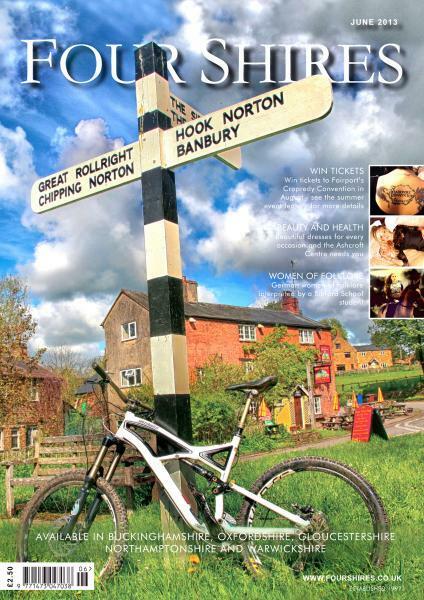 The best of the four shires surrounding Banbury in Oxfordshire. We take in Stratford upon Avon, Brackley, Milton Keynes, Oxford, Buckingham, Bicester and Chipping Norton as well as Burford and Warwick. Buy a single copy or subscription to Four Shires magazine. The magazine is packed full of informative features on wining and dining, local colour, local history, fables and legends and good walks. We feature social pictures (we are the ‘Hello’ of the shires) weddings, company news and racing (both for horses and cars). We always have a good selection of restaurants and pubs as well as theatres, jazz clubs and live music venues. Our Out and About section is always packed full of events and things to do, our arts section features local antiques and paintings and the health and beauty section shows off the best treatments in the area. Our garden section is loved by all, with tips on the best horticultural venues to visit in the area. We always carry a good books page and the letters section always has something entertaining. Farmer George Fenemore contributes every month with his rustic outlook on life and the education section features the best of the public schools in the area. Finally – our directory of services is always well received.